Derrick Perkins of Liberty Research in Gonic, New Hampshire, has a creative approach to customer acquisition. He targets a long running job which he feels he can refine and then virtually own once he cracks the code. His approach is to design and build his own equipment to elegantly and efficiently run the component in play. Perkins and his team of designers and toolmakers essentially invent the machine to make the part. He would rather build a special machine than buy existing technology in many cases because he is always looking for the “unfair” advantage versus his competition. He has successfully constructed rotary transfer machines up to 24 stations with an off-the-shelf Hirth coupling and built-from-scratch units. 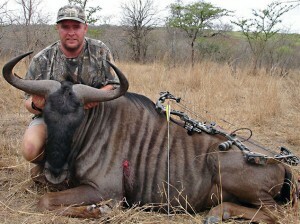 Derrick is also in the archery products business with a company called American Broadhead. Always the independent entrepreneur, he is attempting to build a name for his brand despite being an outsider to the big box buyers of such hunting equipment. I think that for entrepreneurs like Derrick Perkins the joy is in doing the next to impossible, whether it is inventing a new machine or building the best arrow.